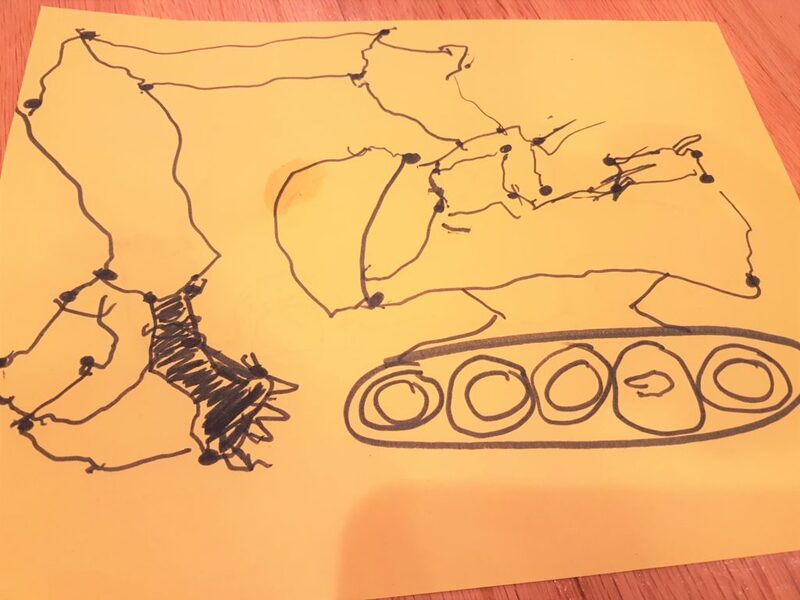 My daughter had only recently graduated from stick figures to drawings with some real weight on them, so when she presented me with this exquisite drawing of Elmer the Elephant, I knew it was something special. It was one of the most detailed and complete drawings she had ever made of an animal! Little did I know that in a few weeks, a magical elf would transform this drawing and bring it to life! Isn’t this amazing?! When she opened her eyes and discovered that her special drawing was transformed into a real, squishy, squeezable friend to have and to hold, she hardly had words. Her shining eyes said everything, and I knew it would be one of the most treasured and special stuffed animals she’d ever have! 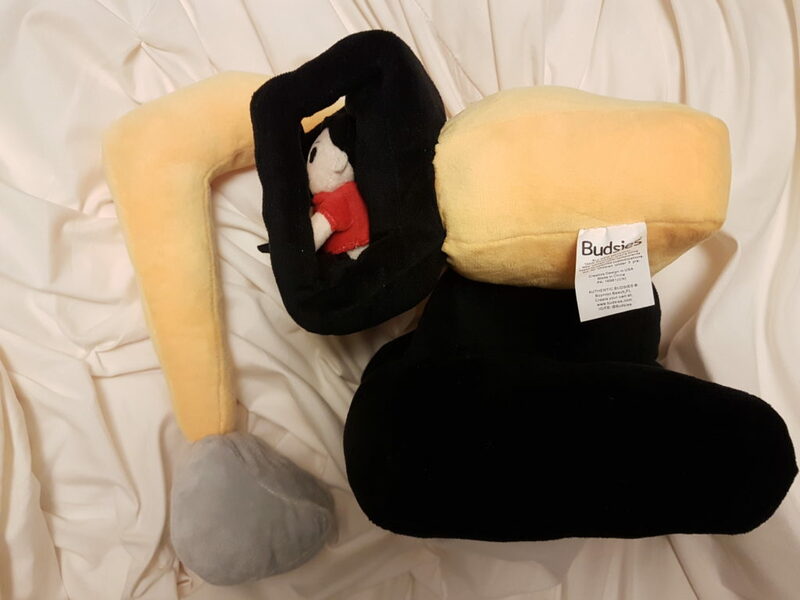 The “magical elf” is actually a company named Budsies, and they are amazing! They can take ANY artwork and turn it into a REAL PLUSHIE!! 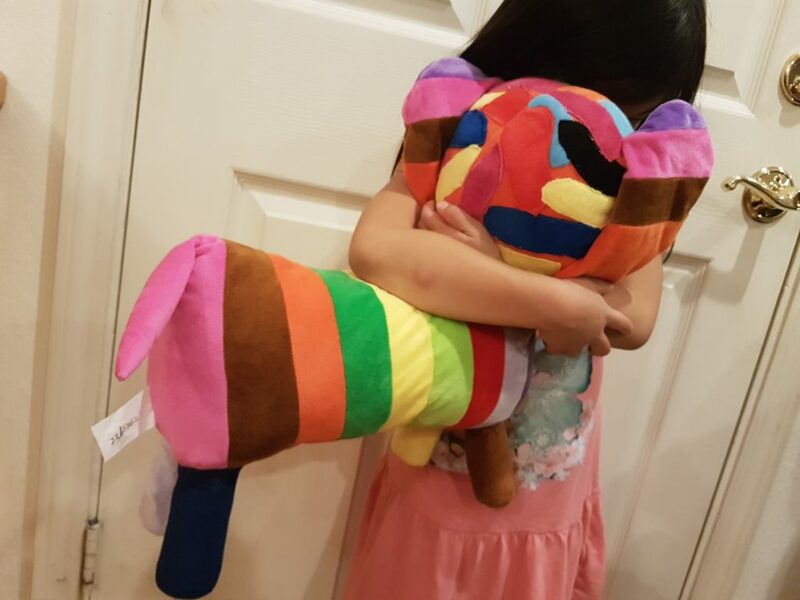 I first heard about them when my friend Kristen sent me this adorable photo of her niece holding a cute drawing of a smiling rainbow with a crown and wings in one hand, and a GIANT adorable plushie version of her drawing in the other. My heart skipped a beat. Wait… a drawing… turned into a real-life, huggable creation?! NO WAY. That was too good to be true! 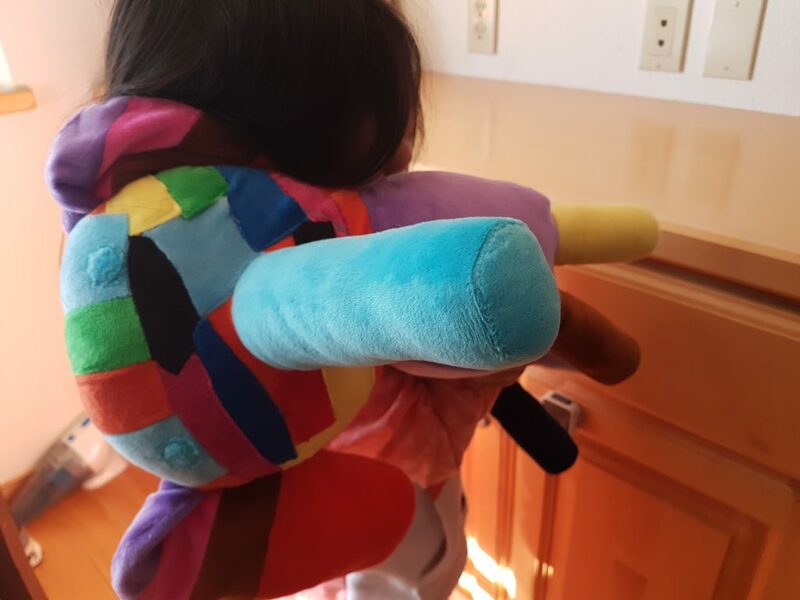 Kristen shared, “My sister and I gifted it to her for Christmas and she’s slept with it every night since she got it :)” I don’t blame her, it was the most adorable rainbow I have ever seen! I submitted the photo and description and waited for the magic to happen. About two weeks later, they sent me a sneak peek and I got to see a photo of Elmer in all his colorful glory! Just thinking about the time put into cutting all the little patchwork pieces of fabric and sewing them together made my hands tired. This was amazing! I’m so glad we had the sneak peek so I could request a little pink tail for Elmer, and then that was it! They sent one more photo to make sure he was just right, and then shipped him off to his forever home with us! I could not WAIT to give it to her on her birthday! Really, I could not wait, so I ended up giving it to her a couple weeks before. When she realized this was the very elephant she had created, she gave him the biggest hug and he’s been her constant companion ever since. She reads to him, goes on elephant rides, throws him in the air, and cuddles with him all the time. We have lots of stuffed animals, but this one has a super special place in her heart! “We have a dump truck,” I offered. “But we don’t have ecka-wait-oh,” he said. He’s still rear-facing, but I could just hear the pout on his lips. “It’s okay, we don’t need one, you play with it at co-op!” I chirped. This is [his] excavator. He adores construction machines and this is his favorite. 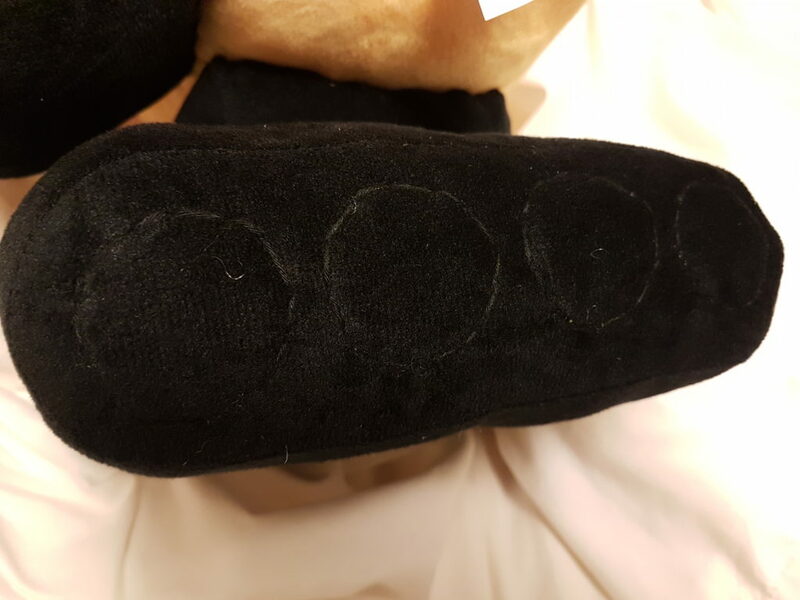 I helped him draw it by making dots for him to connect. Please ignore the curve in front of the cab–he hadn’t quite gotten the hang of the straight line concept yet at that point. The orangey-yellow excavator has a long arm that bends to scoop dirt. Even though we didn’t draw it in, I was wondering if we could add [him] inside the cab, operating the machine! He always asks to ride an excavator, so I think he’d enjoy seeing himself in it :). He is going to be three years old soon, has short black hair and dark brown eyes. His favorite shirt is his red Thomas the Train shirt. He also really likes the “teeth” on the bucket of the excavator that helps break up rocks to make it easier for scooping. I knew it was a lot to ask, but I thought maybe they could make a 2D boy with a red shirt sewed onto the side or something. He’d love that. I sent it off, and the folks at Budsies got to work. They designed, they snipped, they sewed, and boy, did they deliver! Imagine my surprise when they sent the sneak peek photo and there, right inside the cab of the amazing excavator, was a 3D boy at the wheel! There was a real wheel and a real boy! 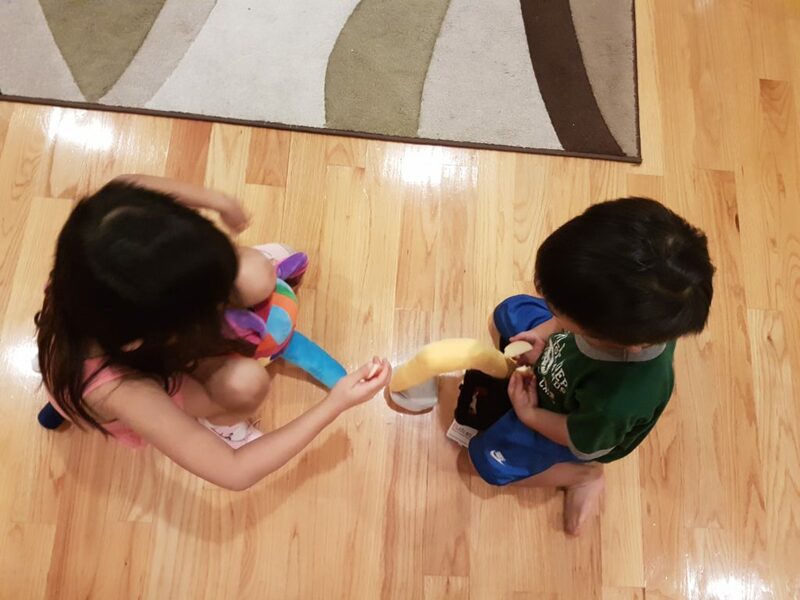 I quickly accepted their creation and a week later, it was shipped to our home. 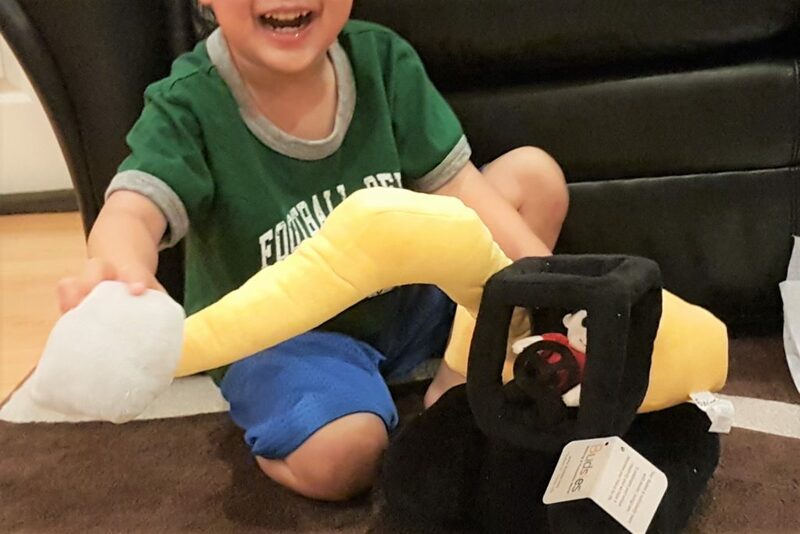 When he tore into the box and realized he had a soft plushie excavator, his smile brimmed from ear to ear! “Who’s inside driving the excavator?” I asked. He smiled, admiring the little boy with the red shirt driving the excavator, when his sister burst onto the scene, “I have ELMER!! !” she cried, clutching her own special creation. Soon, the two of them were running in circles with their own Budsies creations, throwing them in the air, sitting on them and riding them, and basically looking all the part of two delighted kids in the heart of a magical childhood. And I had all the heart eyes :D.
We had such a great experience working with Budsies. They had excellent communication from start to finish and the craftsmanship was phenomenal! I mean, look at the details on this excavator! A plushie excavator for my construction vehicle-loving toddler! 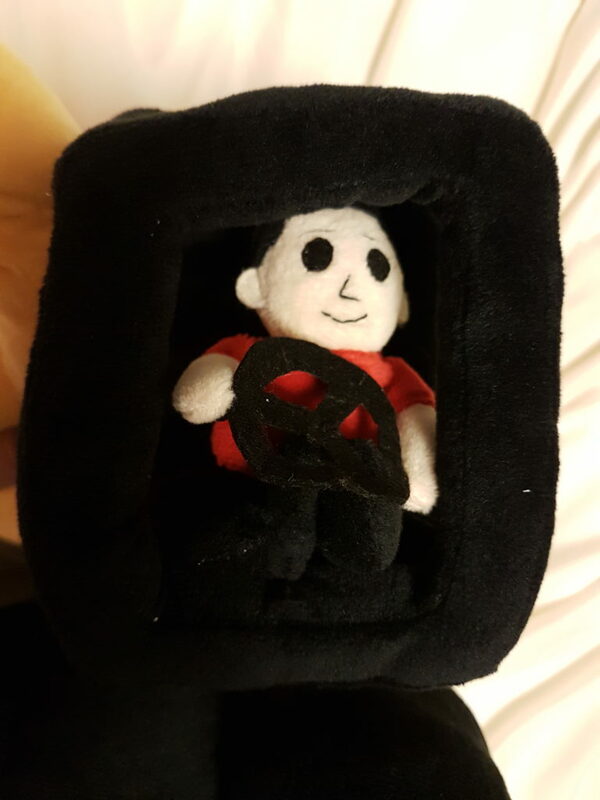 He couldn’t even draw it, but at my request they made a little plushie version of my boy to drive the excavator! Check out the details on those wheels! I really felt like the folks at Budsies wanted this to be the excavator of a little boy’s dreams, from the frame of the cab to the fully formed boy driving in it to the stitched wheels and the grey bucket. You could tell that they wanted it to be perfect, and really put in the time and thought to make that happen! 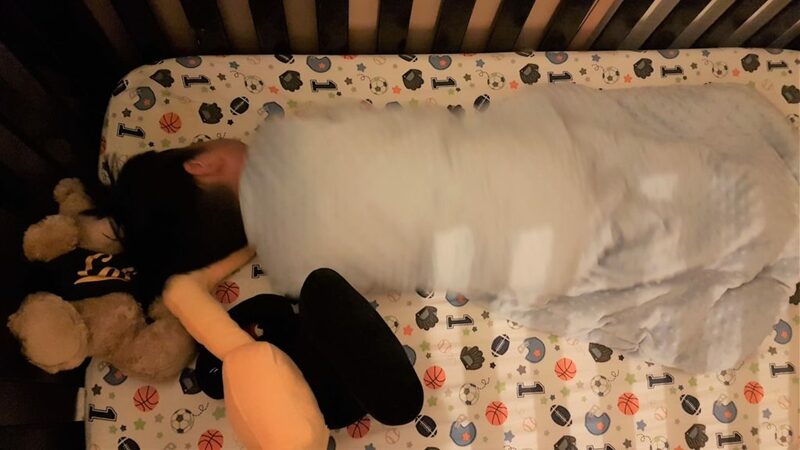 My little guy sleeps with his excavator every night, and I bet he scoops imaginary holes into his crib when I’m not looking. If you are hoping to gift an incredibly unique, delightful, personal, and precious gift to someone, you need to consider this! It is one of the coolest presents a child (or grownup!) could ever receive, and will be treasured for a lifetime! I am generally a DIY kinda gal, but this is something well beyond my abilities (or patience) and worth every penny! What do you think? Would you want your child to be able to create something with Budsies? What would you submit for their artwork? Share in the comments below! I’d love to hear your ideas! How adorable and magical! Brings a kid’s imagination to life in stuffy form!! J’s Smile says it all. I bet my daughter would do a ballerina that looked like her if she had the chance! Aww a little ballerina that looked like her would be the cutest :D! Thanks! wow so cool! what a great gift idea! Thanks, Kim! I know, any kid (and parent!) would be so happy to receive this as a gift right?? AMAZING!!!!!!!!!!!!!! That reminds me of fulfilling a child’s make-a-wish because it’s so magical haha. Aw that is a really neat way of thinking about it. It’s something you totally wouldn’t think could happen, right? 🙂 Thanks, Nancy! That is so adorable! Both are so unique and special, and it is so cool that they both helped create the finished product! 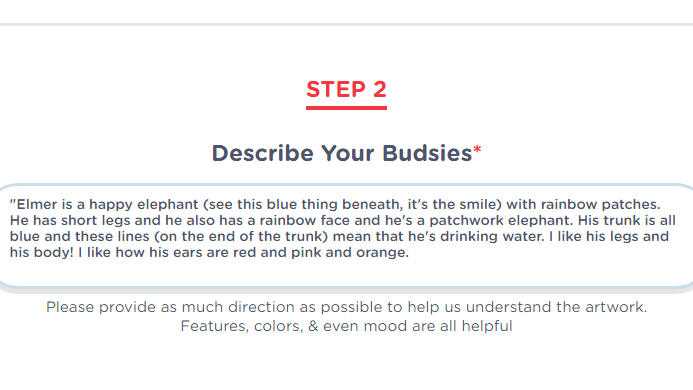 🙂 It’s a great idea, and I’ll keep Budsies in mind in the future. Thank you, we had a good time doing it! 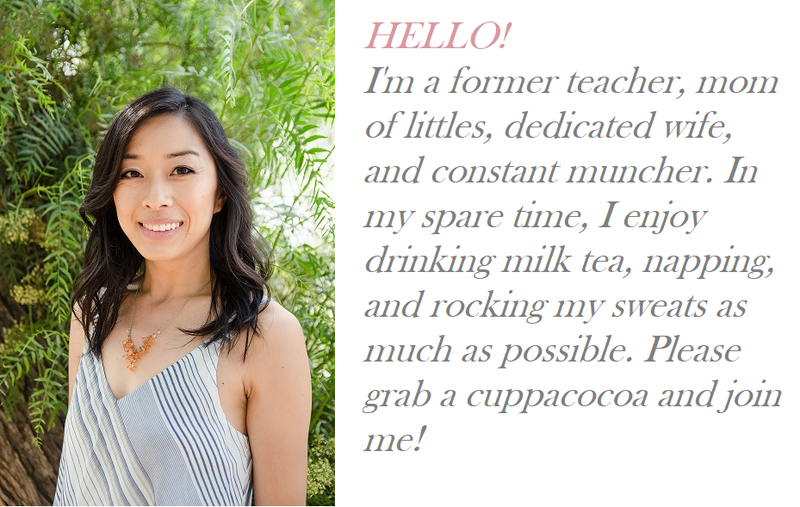 This is amazing, what a super fun activity!!! My kids are just getting into drawing so this would be a dream to see their stuff come to “life.” I am thrilled that you were able to get J involved even with his limited drawing abilities!